Ozone Neon is an ambidextrous gaming mouse designed to suit a wide variety of grip styles and hand sizes. Outfitted with an ultra-precise 6400 DPI laser sensor that ensures a perfect tracking performance. Adjust the polling and response rate and program its 8 buttons in 5 independent profiles thanks to its 128Kb built-in memory. "Neon is a splendid gaming mouse which will satisfy both left and right handed gamers with its ambidextrous, simplistic design." 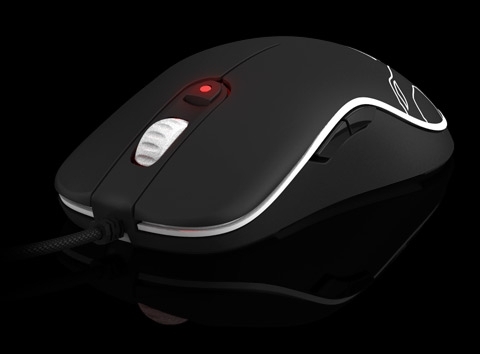 "This time, it is Ozone that is offering a smaller, lighter, well designed mouse with all the options users want, without a lot of the weighting and odd shapes that plague quite a few designs." "Ozone ha pensado en un ratón de gama de entrada pero vestido de manera especial, y añadiendo características reservadas a los de gama alta, como la reprogramación de los botones y hasta el cambio de DPIs al vuelo."